and with that came a discovery process to better understand my target audience and what I am best positioned to offer as an independent interior design service company. Doing total room and home transformations is and always will be the most rewarding and impactful way to effect change in a client’s home. 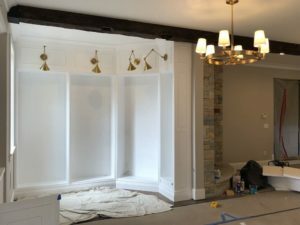 Through this process, however, I was reminded just how many smaller scale home improvement applications can be undertaken to provide lasting aesthetic and fiscal enhancement to a home’s value. So welcome to the first in a forthcoming series of blogs this year entitled Return On Investment Improvements. 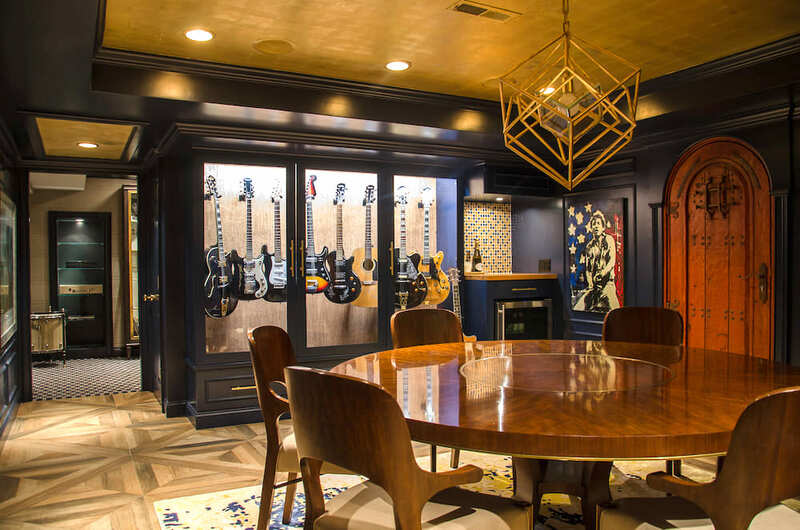 Sometimes it is these smaller applications within a full-scale project that create the most excitement and performance benefit to the overall personality of a space. 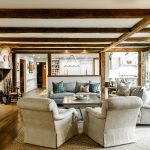 Often times, these enhancements are lesser fixes that can often be done independent of a total room transformation and are achievable without necessarily breaking the bank…even in these economically volatile times. 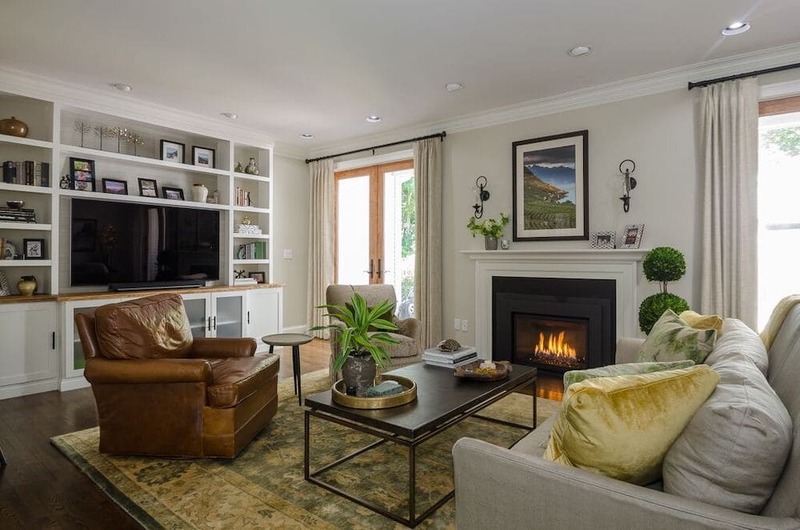 I am very excited to share these ideas and of course, am always available for consultation to see how Verve can add value to your home with a mini facelift — a smaller investment for BIG impact! Now that is a ROI we can all appreciate. The first that comes to my mind is BUILT-IN CABINETRY! 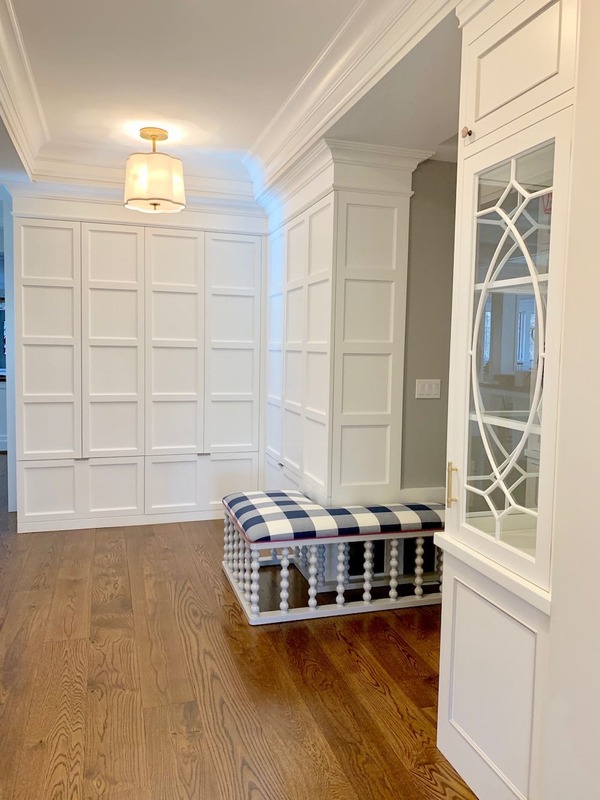 Built-ins are such a wonderful way to create BIG, lasting drama in a space while increasing resale value and improving functionality to your home. Cabinetry also happens to be one of Verve’s favorite type of projects to execute. These are projects that I LOVE undertaking because they optimize my creative process along with thirty years of professional experience and knowledge in product sourcing and development. Scroll through the inspiration ideas below, all of which are Verve Design projects. Magnetic doors conceal mudroom storage for a more streamlined effect showcasing the architecture. Adding customized products that are exclusively designed for each client is my Mojo! It is my number one design priority that I seek to impart on each project wherever feasible. A beautiful home organization cabinet holds felt lined charging drawers, file cabinet drawers, file tray shelves and a pull out cork board and dry erase calendar board keeping everyone organized. 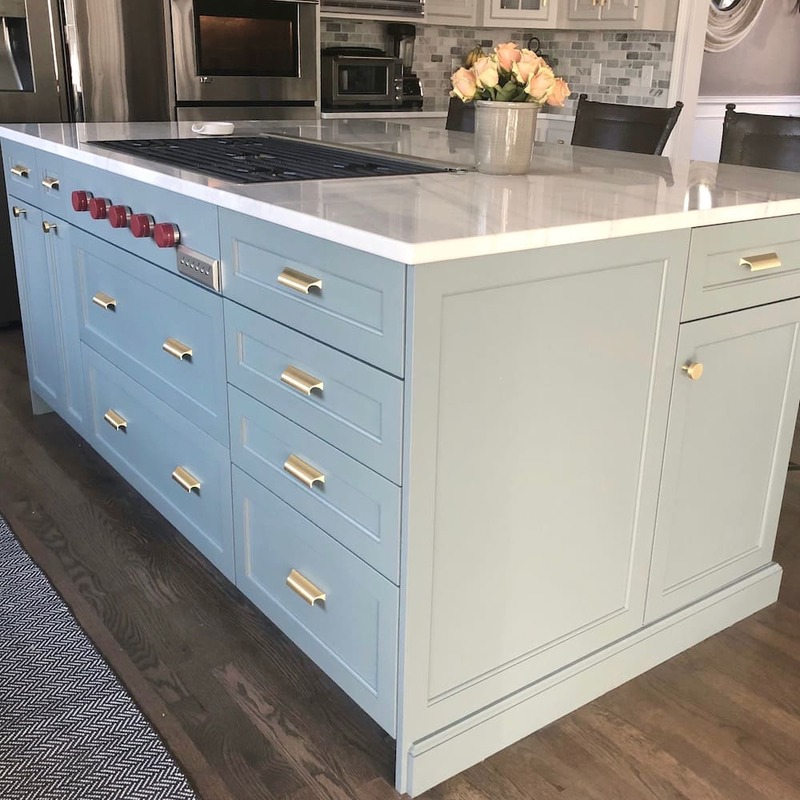 Custom cabinetry can be like original art — no one else will ever have it and it becomes a wonderful conversational piece to add to your home’s collections. I work with several cabinetmakers and woodworkers who have created such genius little spaces for me. Beautiful maple drawers 3/4″ thick with traditional dovetail joinery. The hallmark of quality workmanship. These craftsmen are my arsenal of artisans that turn my customized conceptions into beautiful realities time and time again. 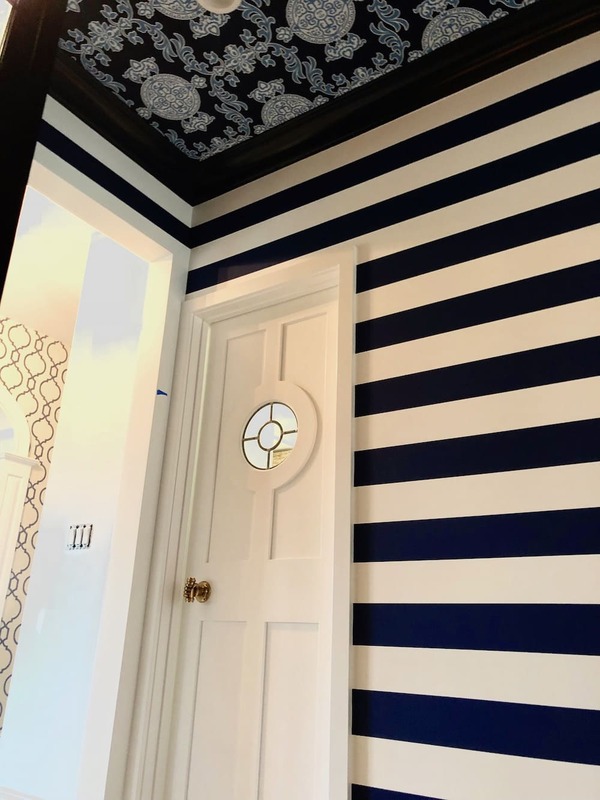 It never ceases to amaze me how they can rise to any challenge I give them and deliver a customized masterpiece that is truly one of a kind for my clients. 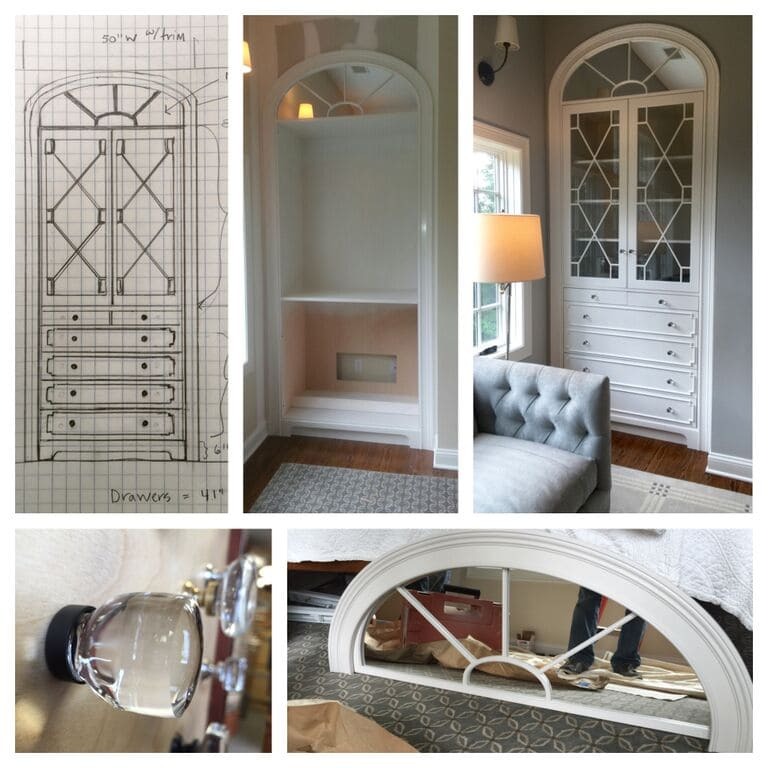 Add to that the power of embellishments, whether it be the finish, hardware, fabric, trim or paper; and we have arrived at a visual focal point that can utterly redefine the personality of a space. 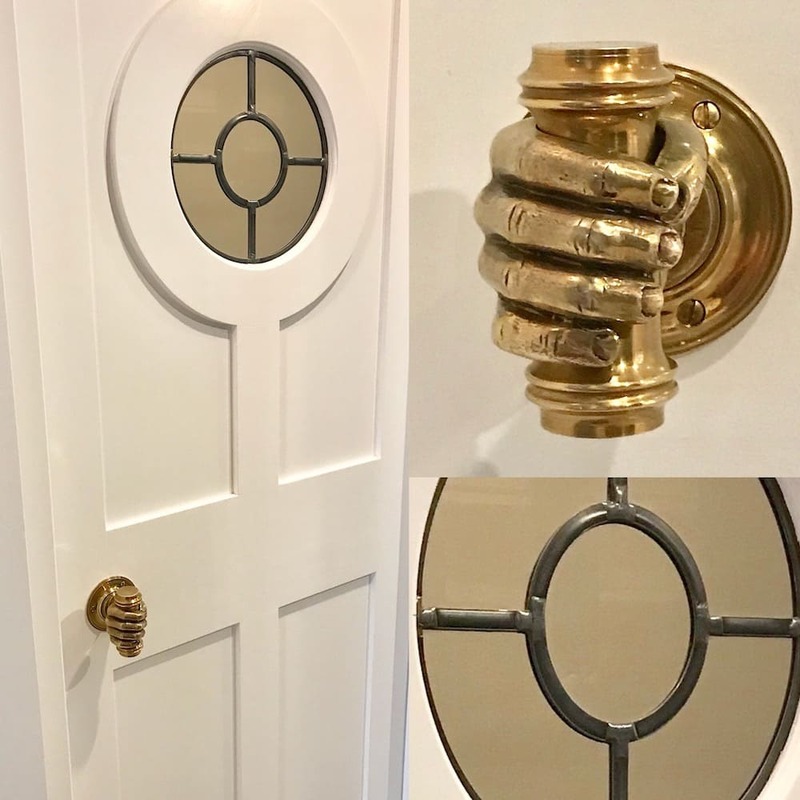 A Design Wink: This doorknob is a piece of art for a simple pantry door — further enhanced by a custom leaded glass porthole window. 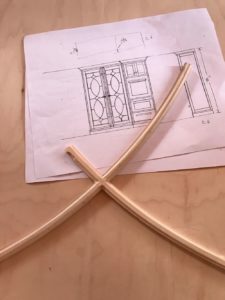 There are so many applications to consider when identifying areas where custom cabinetry can be added. 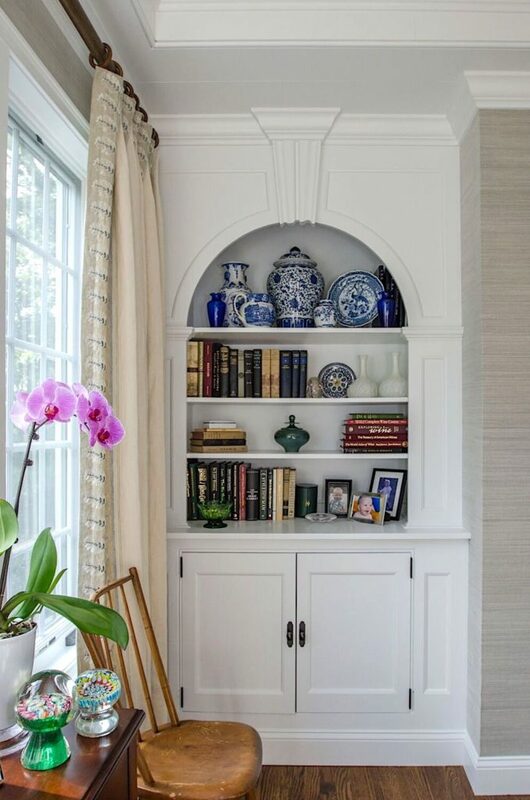 Consider an office nook or a bookcase. 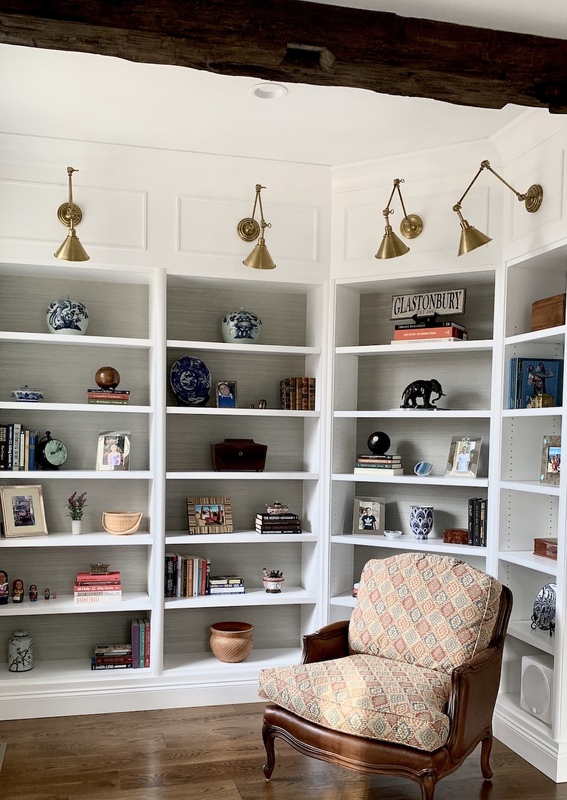 In progress: Shallow open bookshelves will turn this odd space resulting from an addition into a cozy reading nook when this space is fully completed. Or perhaps a bar cabinet, wine fridge built-in, a curio cabinet or a media cabinet for a family room. 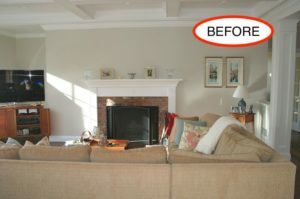 This client had a lot of picture frames she wanted displayed so the shelves were left open. 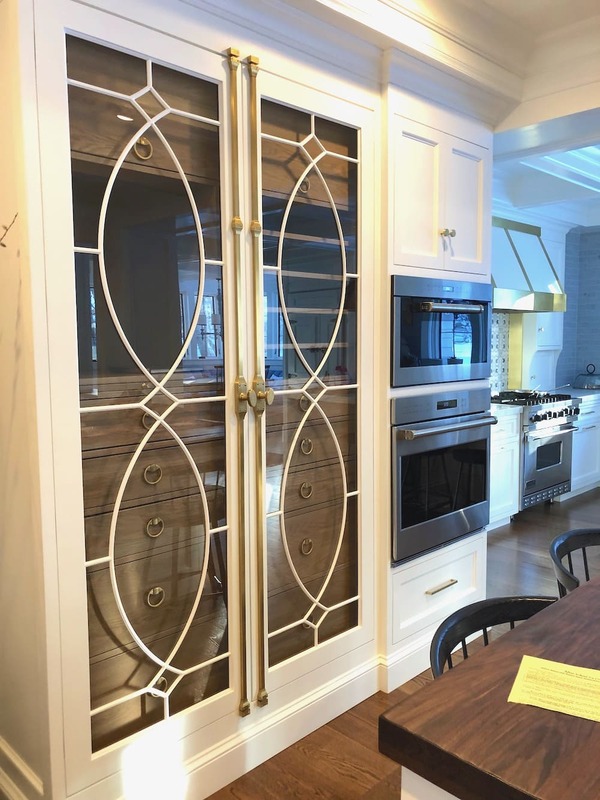 Frosted and textured glass doors conceal inner components while preventing the cabinet from feeling bottom heavy. In Progress: Custom doors designed to showcase these unique brass elephant pulls. The cabinet’s back was covered in grasscloth and a speaker was built into the back wall to conceal the unattractive components. 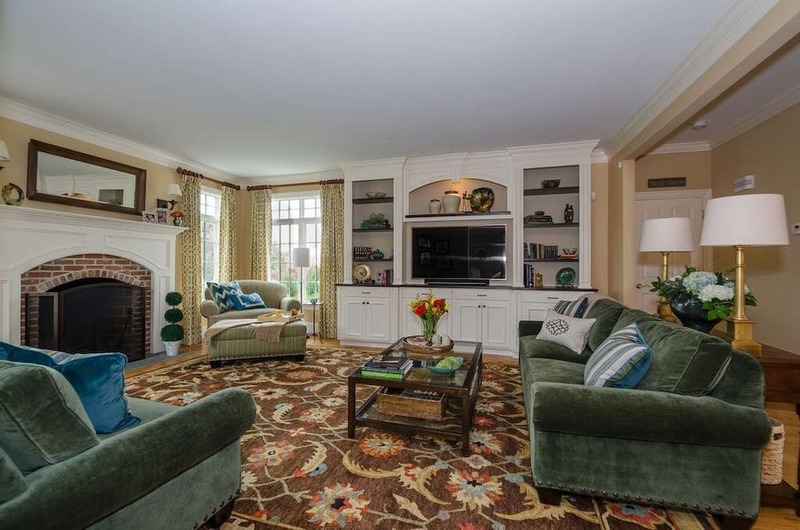 After: A hollow, stranded space in this family room was filled in with a pretty open hutch with bottom storage. 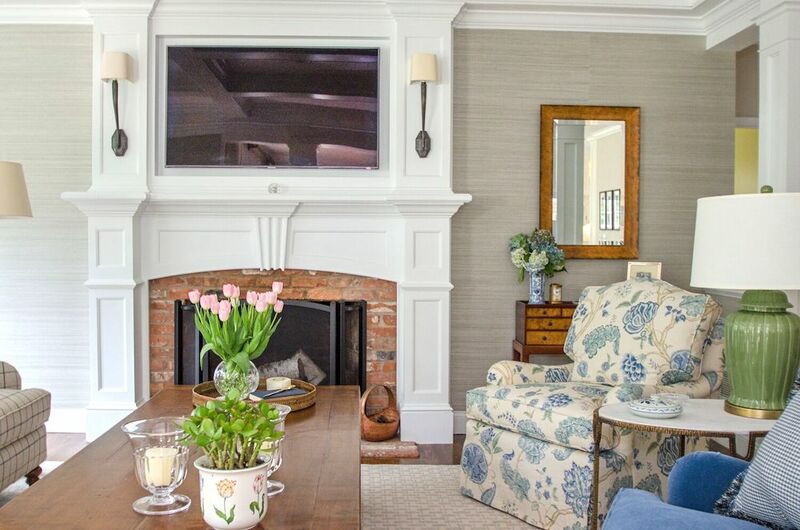 A new mantle surround was created to encompass the Tv and draw the eye up to meet the lovely coffers. Close up of Hutch completing empty corner place. Closeup of fireplace surround. Keystone element is carried over into both built-ins for design continuity. 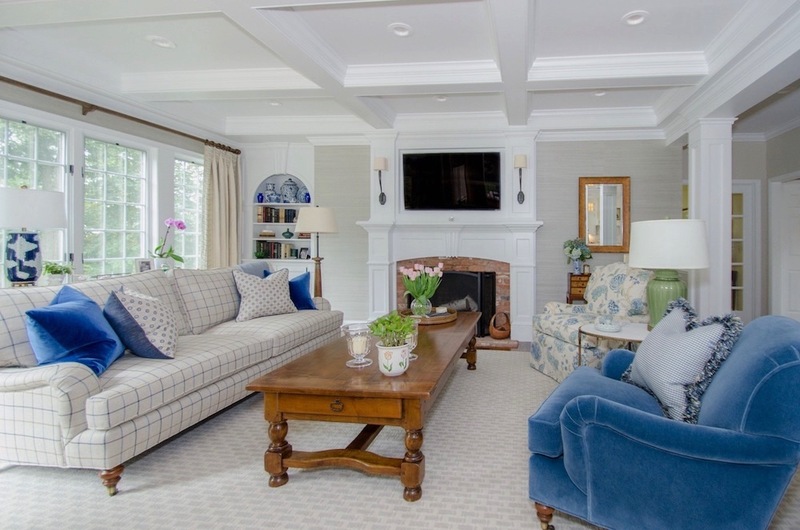 Traditional family Room built in with stained wood shelves and console top to add definition. The background was painted in a different color to add depth. A new kitchen island can make a world of difference to an existing kitchen floor plan. Ventilation for the downdraft fan was funneled through a storage cabinet on back side of island under the overhang so that the storage drawers below cooktop were not spatially compromised. Break into a wall where there is room on the backside and create storage options. Here we did so with an extra large bathroom. 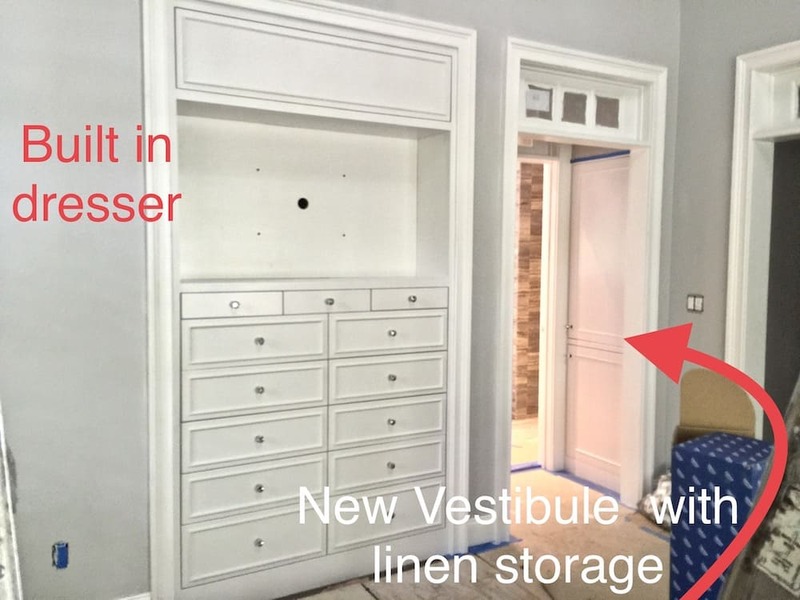 By claiming two feet from that floor plan, we were able to add a vestibule to house a linen cabinet, emphasize the entrance and add a built-in dresser for the adjacent Master Bedroom. 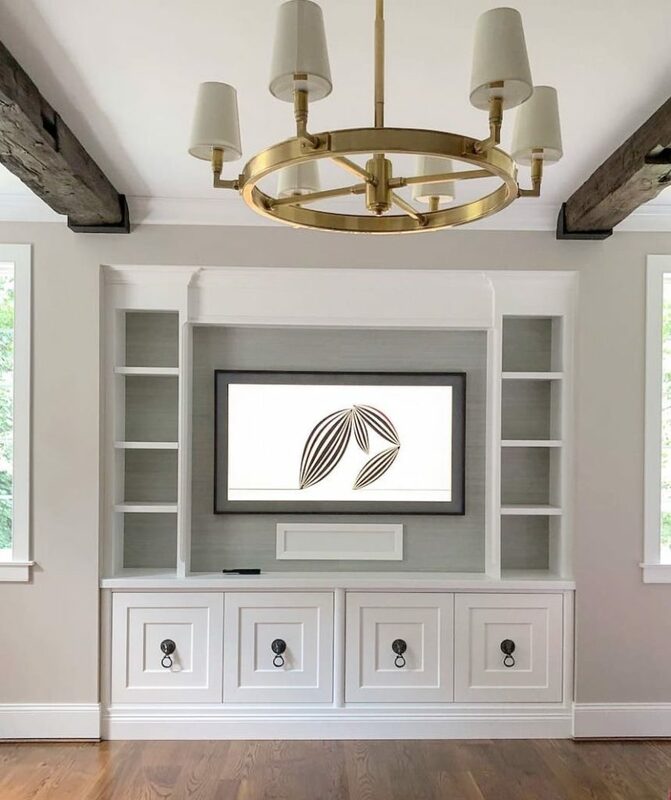 The built-in dresser is built to house a flat screen and in the vestibule hangs a pretty pendant to highlight this architectural element. Or fill in an awkward empty nook and add cabinetry like we did with this Master bedroom Armoire. 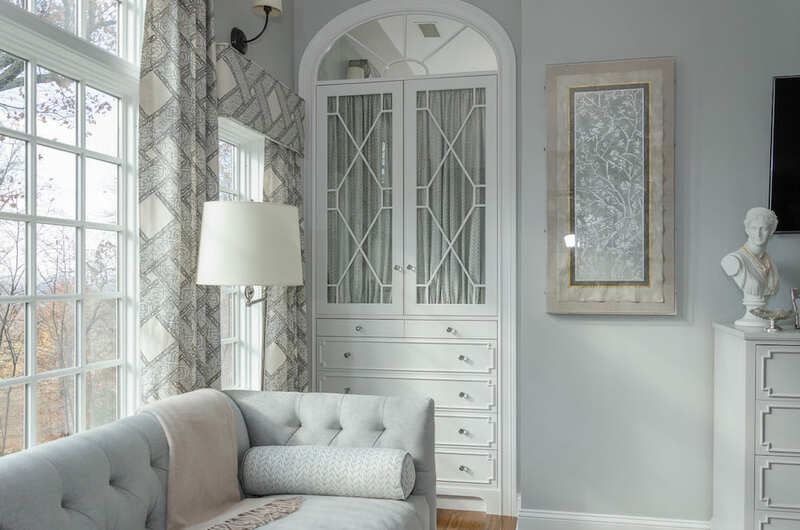 Instead of mirror glass, shirred fabric panels are added to the beautiful glass doors to warm the space and provide concealed storage. It was lined with cedar to store the client’s sweaters. 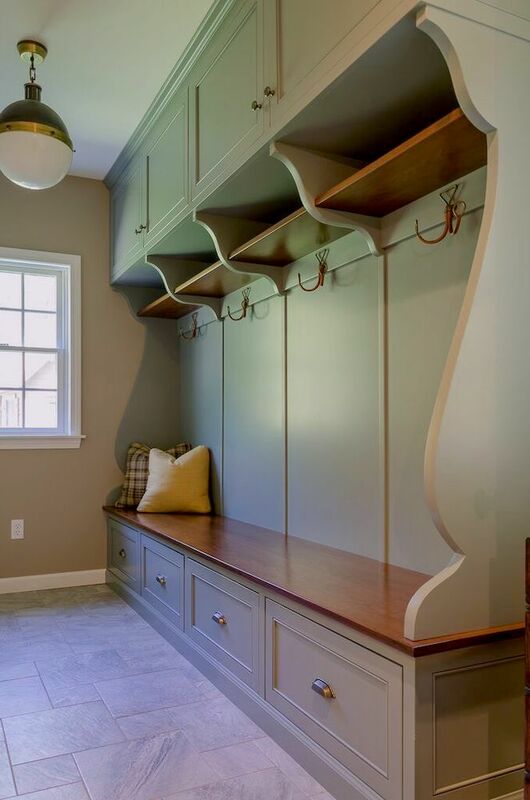 Mudroom lockers and pantry storage are always in need. 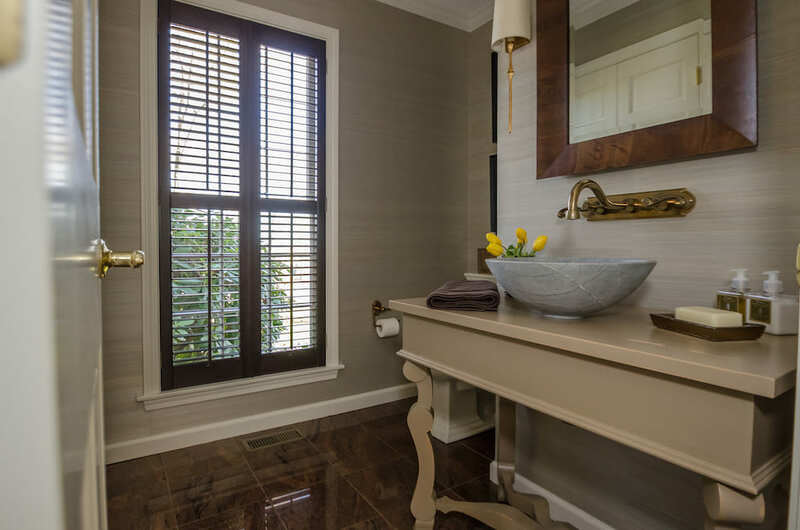 Or give a fresh look to a powder room with a new vanity cabinet or custom washstand. 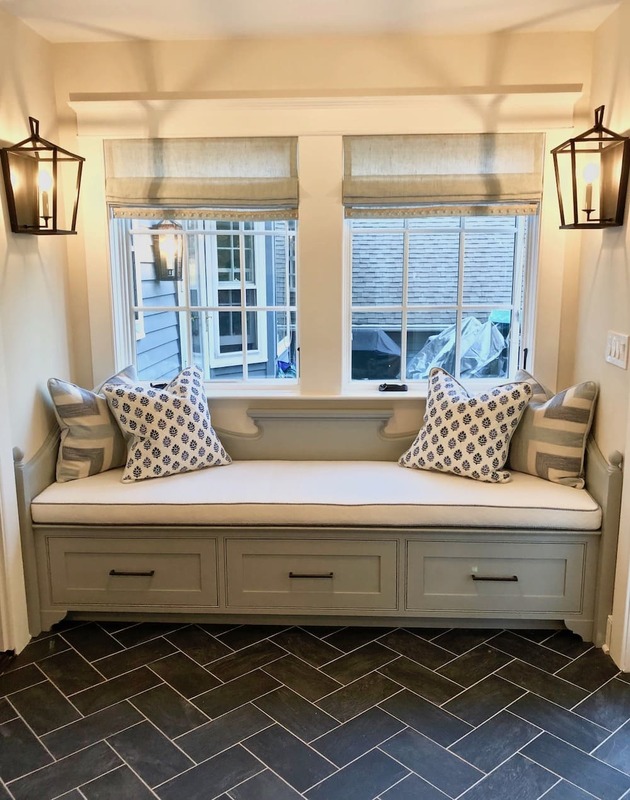 A custom bench seat or banquette can be both a wonderful quiet place or gathering space! This adorable miniature prototype helped us envision it and build from. 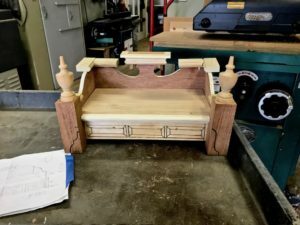 Sunroom storage bench inspired by a traditional Swedish bench functions as a nice reading nook for kids while storing shoes for outside play. Or even simply a door like this custom pantry door created for a stylish butler’s pantry. A galley swing door with a magnetic soft close feature provides convenient access to a Built-in food pantry closet located off the Butler’s Pantry. The areas and options are limitless and so are our imaginations! So think about your home and your storage needs. 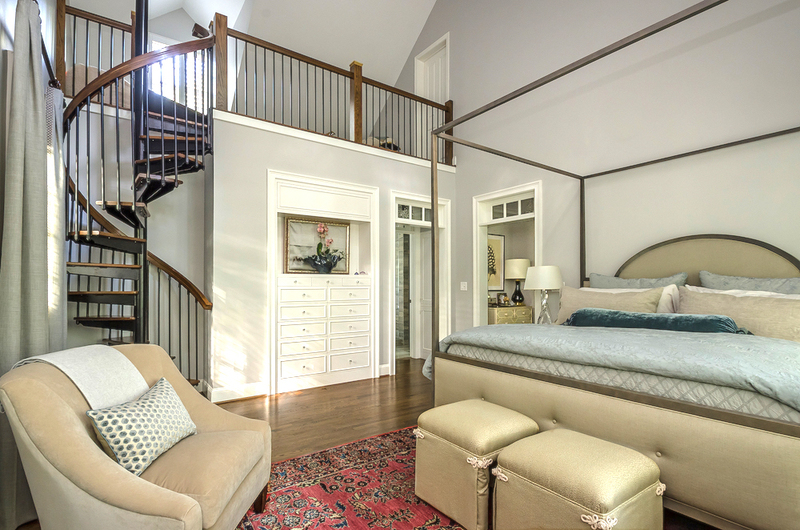 Consider physical areas that seem bland and scream for aesthetic EXCITEMENT! 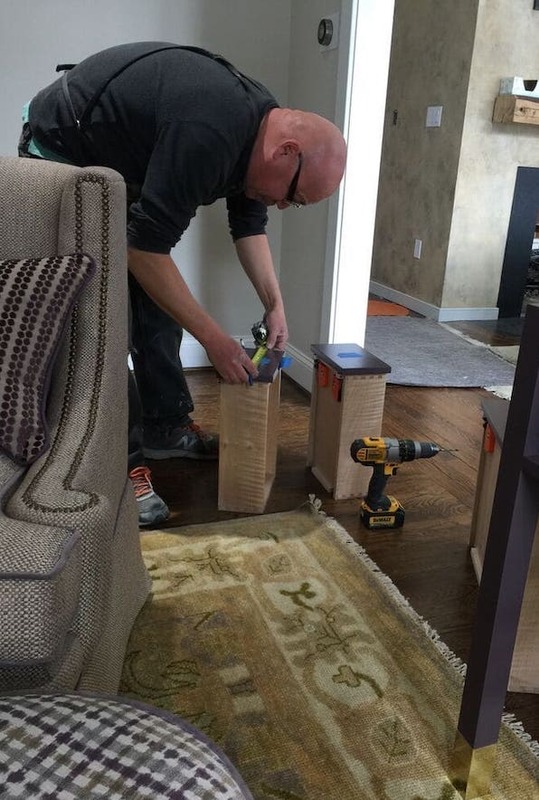 Which walls could be knocked into in order to house built-ins? There are so many possibilities! We can dream it, we can build it, we can dress it and you can afford it! So where is your next Return of Investment? Give us a call!